Microsoft Certification Courses: Microsoft is well known for its windows operating system and other software products. This company offers various certification programs like Engineering Courses, Professional Courses etc. These Microsoft certified courses scope is very wide and help to provide a successful career and Job opportunities with high salaries. 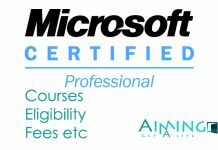 Here is the article which provides you the complete information about Microsoft certified Course Details such as Full forms of MCP, MCSE etc. Go through this MCP Course Guide below. Microsoft Certified Professional shortly termed as MCP. 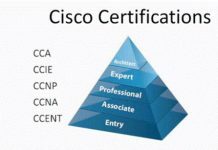 This certification course is designed in a way to validates technical expertise of IT professional and developer through rigorous, industry-proven and recognized examinations. These certification exams cover a wide range of Microsoft products, technologies, and solutions. Those who have completed the MCE course will become the MCSE- Microsoft Certified System Engineer. The course covers and teaches the following topics to the candidates. Microsoft also provides fully Online Certified Programs. These online programs include cyber security, systems administration, application development and desktop support. 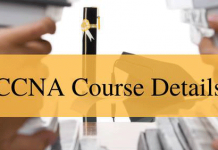 Online courses provide free materials, Audio CDs, Various PPTS etc. This is beneficial for those who can’t spend time for journey. This has flexibility of Timings. Microsoft official website contains Online Certified courses. MTA: Microsoft Technology Associate: $66,668. MCITP: Microsoft Certified IT Professional: $83,844. MCDST: Microsoft Certified Desktop Support Technician: $76,409. MOS: Microsoft Office Specialist: $71,367. MCSA: Microsoft Certified Solutions Associate: $79,067. Fees: The fee structure varies based upon the various constraints such as the experience of faculty, Reputation of institute etc. This is the complete article about Microsoft Certified courses Details. Hope this gave you all the required info. We will try to add more updates soon. Stay connected. 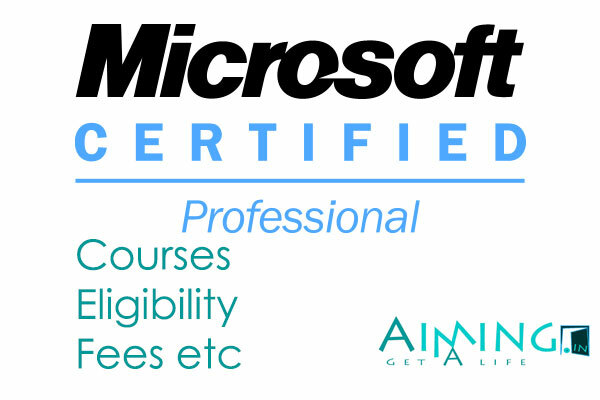 Bookmark Our site to get regular Updated regarding Microsoft Certifications and many other various courses. All the best.